As long-time blog readers know, Valentine’s Day is one of my favorite holidays. I love spreading the love among my family and friends! I often hear complaints about how Valentine’s Day is a “made up” holiday, and something that greeting card manufacturers invented to keep their business booming. But frankly, I don’t care. It’s still such a fun one to celebrate! Recently, I learned that March has also another “made up” holiday… but it’s one that I think I am going to love almost as much as Valentine’s Day. March 19 is National Caramel Chocolate Day! Balance Bar contacted me to try their Caramel Nut Blast bar as part of the celebration, and I was very quick to say yes to that opportunity. So what about the new-to-me Caramel Nut Blast? This flavor falls under Balance Bar’s Gold line, which is meant to be more decadent than the other flavors, and I thought it lived up to that. The Dark Chocolate Coconut Balance Bar is fairly crunchy, while this just smooth, solid, and chewy – and to me, that texture profile is much more filling. The outside is a solid smooth layer of chocolate, kind of like a candy bar. But on the inside, there’s no crunch – just smooth, chewy sweetness. This one is just slightly higher in calories (210 vs 180) than the Dark Chocolate Coconut, but I found it to be much more satisfying, and think this will become my new go-to. I just loved how thick and caramel-y it is! It reminded me a little bit of a Snickers Marathon Protein Bar (whose Caramel Nut Rush flavor is my go-to breakfast before a race), but the chocolate seemed higher quality, and the Balance Bar clocks in at 80 fewer calories. Balance Bar has generously offered to give away a box of the Caramel Nut Blast Balance Bars to one lucky reader, so I’m hosting a Rafflecopter giveaway to facilitate this. (If you’re reading this in Feedly/Bloglovin’/other RSS feed reader, you’ll need to click through to enter.) Check out the Rafflecopter widget below, and to enter, leave a comment telling me how your favorite holiday or what made-up holiday you’d like to start. The contest will run through Thursday, March 27 at 12am ET, at which time winners will be chosen by random drawing; winners will have one week to claim their prize. 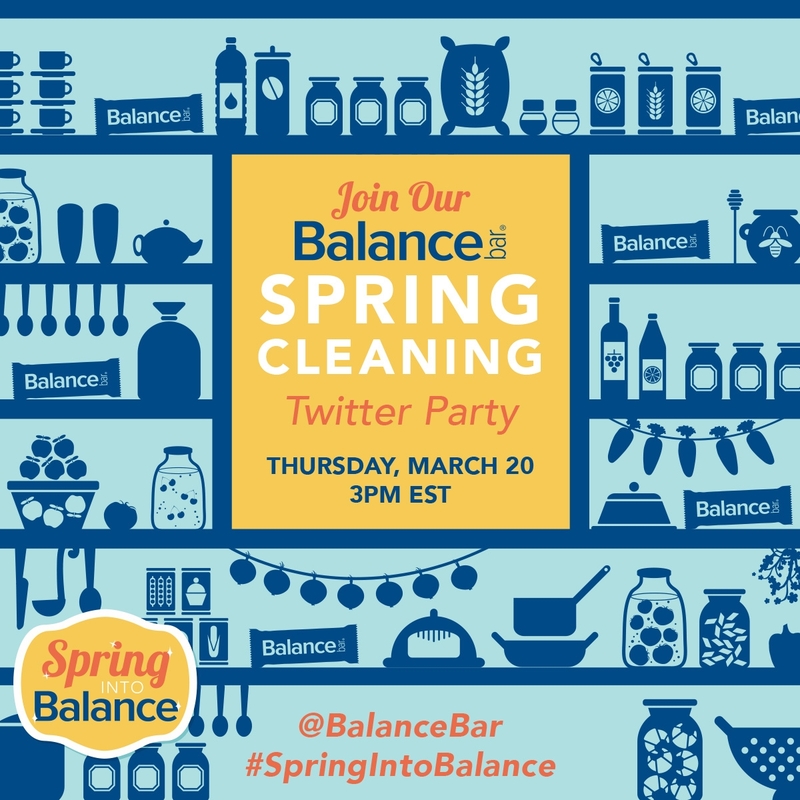 And if you just can’t wait to find out if you’re the winner, Balance Bar is having a Twitter chat today at 3pm ET/2pm CT to celebrate their Spring Into Balance campaign, with an opportunity to win even more Balance Bars throughout the chat! Registered Dietician Sharon Richter will be answering your questions about making a fresh start for spring and cleaning up your cabinets to help clean up your diet. 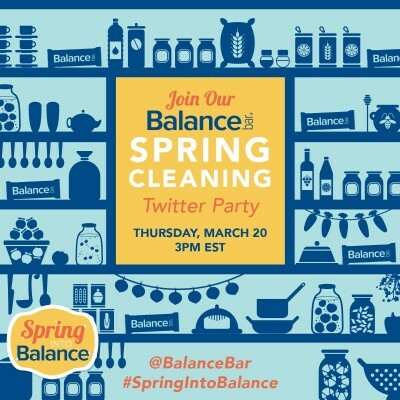 You can follow along and ask questions on Twitter with @BalanceBar by following the #SpringIntoBalance hashtag. Note: Balance Bar provided me with product samples for tasting, and is also furnishing a box of Balance Bars to the contest winner, but I received no other compensation for this review, nor was I pressured to write a positive review. All opinions expressed in this review are my own. My favorite traditional holiday is Christmas! But my other favorite “holiday” is my fake birthday, which I picked to coincide with Cinco de Mayo! What a fun day! Easter is my fave! Love all of the pastel colors and spring weather for running! @sherrybracy I Love all the holidays, but if i must choose one id have to say Christmas! Love seeing that sparkle in the Grandkids eyes on Christmas Morning! Nothing Better then that! When I was a kid, I liked Halloween the best, but now that I’m too old to dress up, I like Valentine’s Day. My husband and I make sushi together every year, using unusual themed ingredients, and drink some nice wine while making and eating our sushi. I love Teacher Appreciation Day/Week! My favorite traditional holiday is Christmas. i love the warm fuzzy feeling I get as I put up the decorations to festive music and prepare to celebrate with my favorite loved ones. Jen recently posted…Happy First Day of Spring (Cleaning)! Today was Macaron Day in NYC so that was a pretty exciting holiday…otherwise, I love Christmas! My favorite holiday is Christmas just to see my kid’s eyes on Christmas morning! I always joke that my favorite holiday is “fall back” Daylight Savings Time in the Fall due to the extra hour of sleep… but now that we are back to pitch black mornings after Spring Forward maybe it’s not so much of a joke? Hey Laura, thanks for the review and giveaway. I wish the Balance Bar would be gluten free though. Then it would be a great candidate for my site. I think they have a few gluten-free options; just not this flavor. Hope that helps!